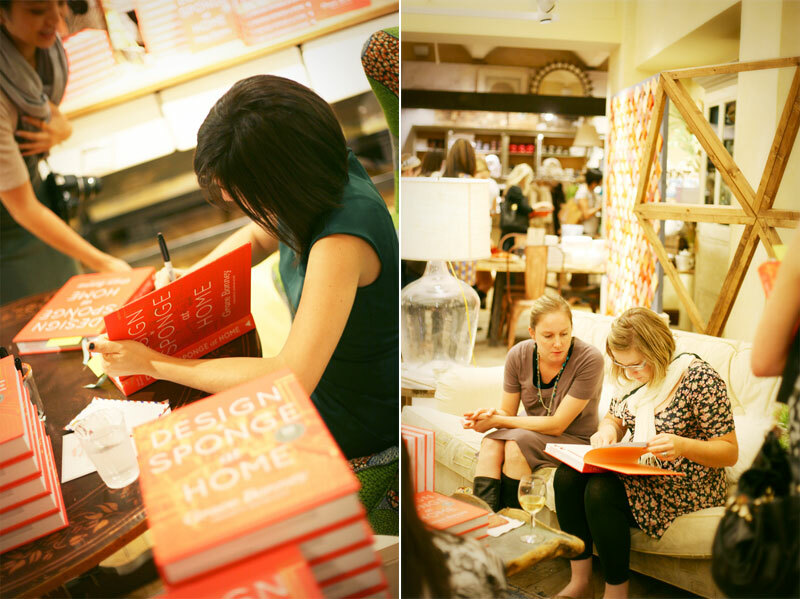 I had a wonderful evening at Anthropologie celebrating the release of the new Design*Sponge book!! Anthro was as pretty as ever and Grace is even more gorgeous in person! Also there to help celebrate the book and help with crafting were d*s contributors, Amy & Kate! The first hour we made our own custom wax seals! In one of the photos below, you'll spot my new pal Kirsten, from Fairytale Flowers, using a smokin' wood burning tool to create her flower custom wax seal! 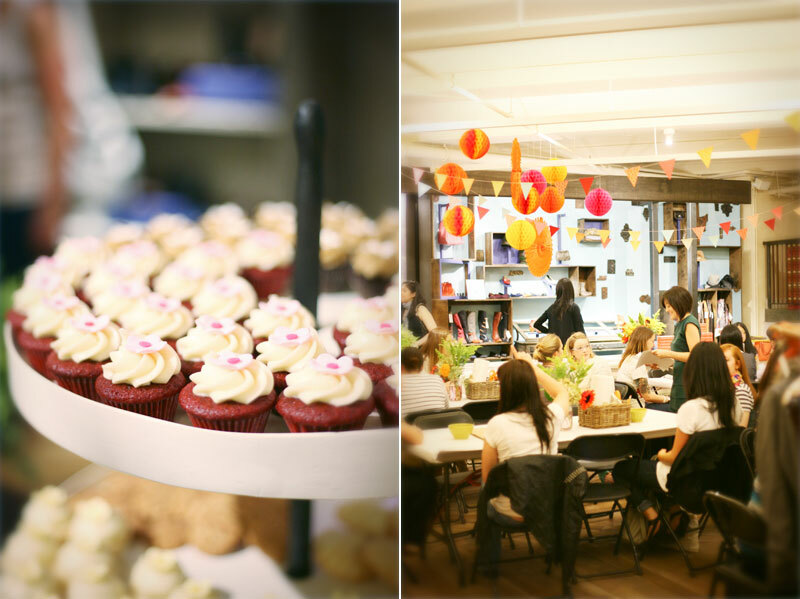 Here are a few photos that I took last night... check out the amazing cookie wall! It was used as a backdrop for photos! And there was a great band, Rin Tin Tiger, who played during the book signing! 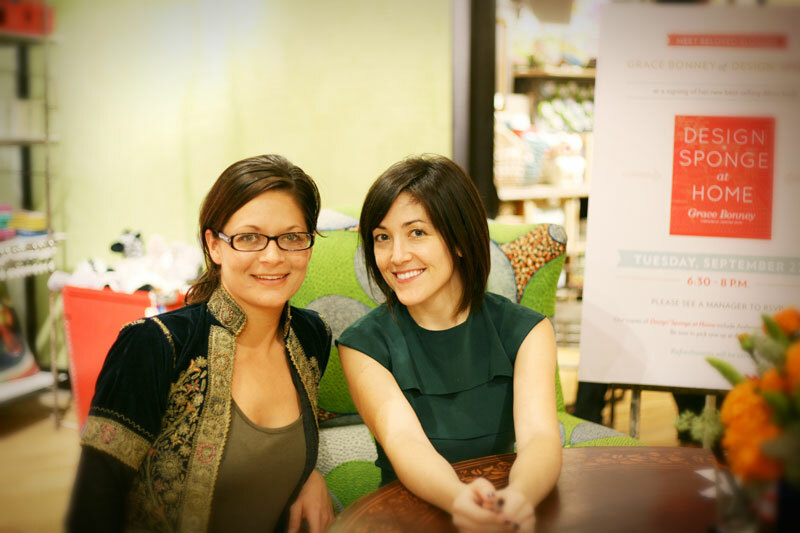 Thanks to Tricia from type.lites who snapped my photo with Grace! Whew- lots of exclamations for this post, but I had such a nice time. I even picked up a few things from Anthro while I was there :) Thanks, Mom & Tom for the birthday gift card! !